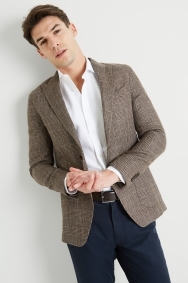 A versatile jacket you can dress up or down. 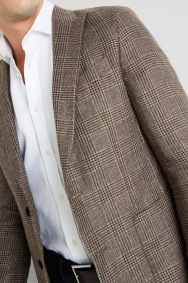 In a neutral shade and featuring a classic Prince of Wales check, this jacket will pair well with numerous outfits. 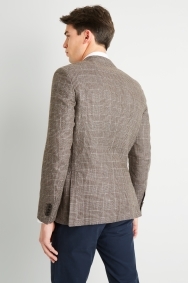 The tailored cut creates shape through your waist, while peak lapels reflect contemporary style. Patch pockets add to the relaxed nature. 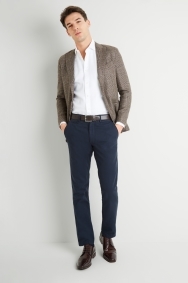 Made from a blend of virgin wool and linen that’s woven in Italy, it has a top-quality, polished look and feel. Contrast with a crisp white shirt and smart chinos to tread the line between smart and casual dressing.